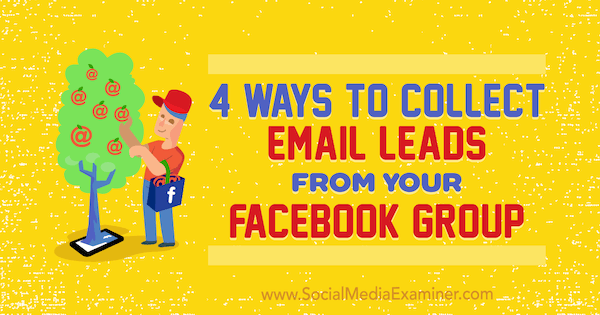 4 Ways to Collect Email Leads From Your Facebook Group by Nate McCallister on Social Media Examiner. Facebook groups can be an awesome way to share content, engage with your followers, and build your brand. They’re also powerful tools for growing your email list. When running a group is part of your marketing strategy, getting email leads from your group is important for several reasons, the most critical being that you don’t own your Facebook group. Facebook does. Relying solely on a Facebook group for interacting with members is risky because Facebook can ban your account or shut down your group anytime. Although Facebook doesn’t ban groups or accounts often, a more likely risk is that Facebook could throttle your group’s organic reach. Many group owners (myself included) have noticed Facebook favoring paid traffic over groups’ organic reach. With these risks in mind, I suggest you plan your audience growth around the worst-case scenario and focus on growing something you own. When you collect email addresses to build your list, you own that list. Also, when you have someone’s email address in addition to their group membership, you increase the chances they will see your content and promotions. Although many group members don’t participate in the groups they join, these people might still be interested in you, and your content and products. 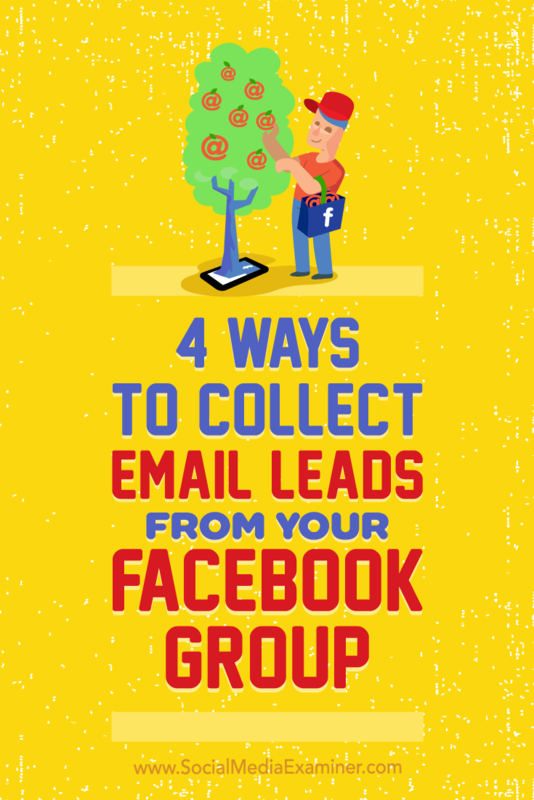 Tip: To gather email leads from a Facebook group, you only need a few tools that most marketers already have: email marketing software and a landing page to deliver a lead magnet to your followers. For email software, I use ConvertKit, but dozens of other good options are available. When you develop your lead magnets, remember that they’re not just about getting emails. They’re a chance to build a relationship with your group members and give them some real value right out of the gate, increasing the likelihood they’ll become lifelong fans and possible future customers. Although this method works well, group members are often hesitant to click overly salesy posts. To avoid this issue, try a slightly less direct approach: share a blog post, video, or other content that leads to an email opt-in. With this indirect approach, conversion rates are often much higher than a direct link in a group. Plus, members can share your content, which increases engagement. To build your email list, you need to regularly post things that turn your group members into email subscribers or help you better segment existing subscribers. Each month, post a mix of lead magnets, quizzes, surveys, webinars, blog posts, contests, videos, and so on. The more types of lead generators you use, the more members you’ll convert. To help you post more consistently, Facebook allows admins to schedule group posts, so you can plan these promotions in advance. 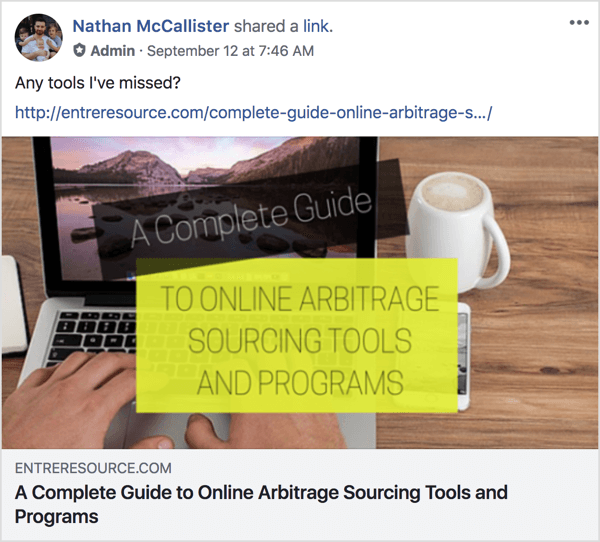 Alternatively, you can choose from many third-party tools like IFTTT, Buffer, CoSchedule, and Hootsuite that allow you to schedule posts far in advance. With all of these posts, you need a reliable tracking system in place so you know what posts work best for your audience. 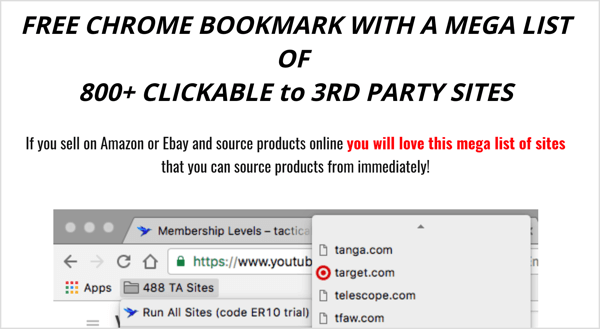 A link shortener such as Bitly, Sniply, or Clkim is an easy way to make your links easier to track because most of these tools provide some sort of trackability. Although these tools are called “link shorteners,” the shorter links are almost secondary to the tracking capability. If your group is very active, your posts can quickly become buried amid all the other activity. In addition to posting frequently, you can also pin your post with the lead-generating link to make sure group members see the post. Also, try marking it as an announcement. 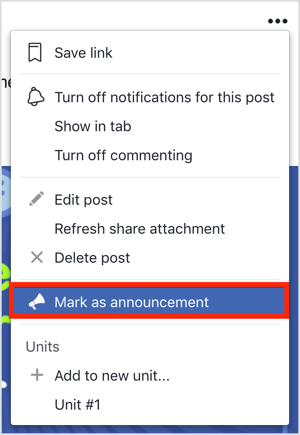 To do that, click the three dots in the upper right of the post and choose Mark As Announcement from the menu that appears. 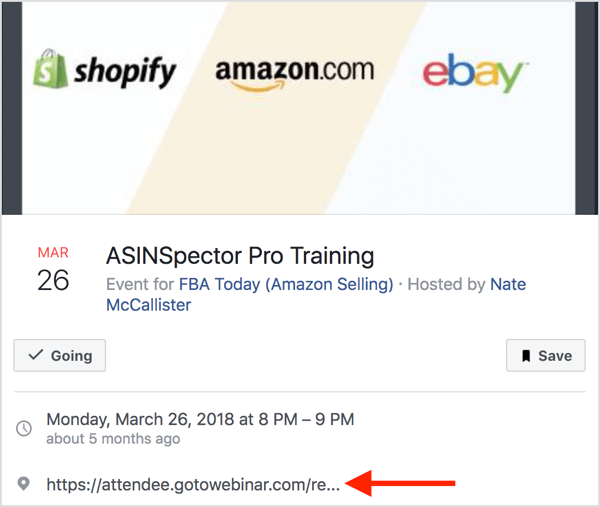 If your lead-generating post is a webinar, you can also promote it as an event in your Facebook group. When you create the Facebook event, set the location as the landing page where people can register. 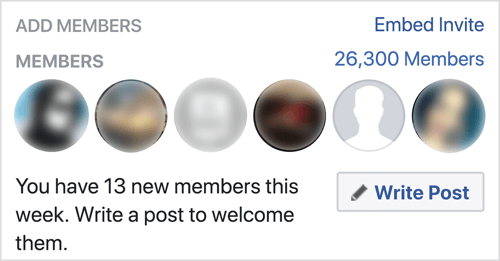 Last but not least, with the Facebook pixel installed, you can make sure group members see your lead-generating posts by retargeting group members with ads that highlight the post. 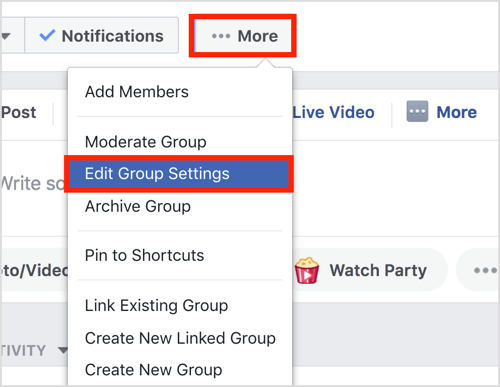 The ability to use the Facebook pixel with groups is a new feature in 2018, and it’s easy to use. With your ads, you can encourage people to sign up for your freebie. Facebook allows group creators to ask potential members questions before they’re accepted into their groups. Whether Facebook intended for people to use a question to collect email addresses, these questions are an awesome opportunity to do so. You can ask people who want to join your group up to three questions, so make one of them a request for an email address in some way. Simply asking, “Could you please provide an email address?” won’t work. Instead, ask for an email address in exchange for a relevant freebie. This freebie will encourage new members to check their inbox and open your email. People who open the first email are more likely to open the second one. You also increase the chances your email address is whitelisted so future emails won’t go directly into the junk folder. You also need to decide whether providing an email address is a requirement to join. For my groups, the email address is required. With this requirement, you not only gather emails, but also avoid giving a fake Facebook account access to your group. Someone interested enough to provide an email will likely be a good member and potential long-term customer. To set up questions for anyone requesting to join your group, open your group and click the More button in the top bar. Then select Edit Group Settings. To collect emails, you need to make sure your group is closed. 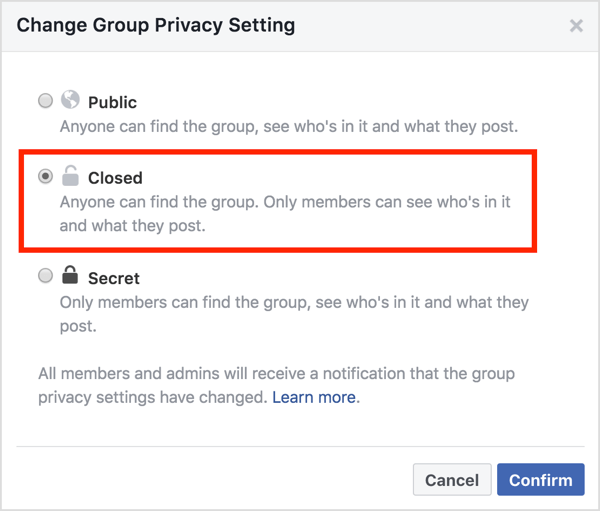 In the Change Group Privacy Setting area, select the Closed option and click Confirm. Some groups allow existing members to approve new requests to join the group. When you’re collecting emails, only admins and moderators should approve new members. In the Membership Approval setting, make sure Only Admins and Moderators is selected. To set up the questions, go to the Membership Requests section and click the Ask Questions button. In the form that appears, you can ask up to three questions, which don’t have to be questions at all. When you’re done setting up your questions, click Save. If everything is working correctly, new group requests show the requester’s name and their responses to your questions. Emails mean nothing if you aren’t adding people from your group to your list and sending them messages. At the time of this writing, Facebook doesn’t offer a direct integration with third-party email services, so you must get creative. I recommend that you use a third-party Google Chrome extension and Zapier integration to automate the process, but you can also upload the email addresses manually. 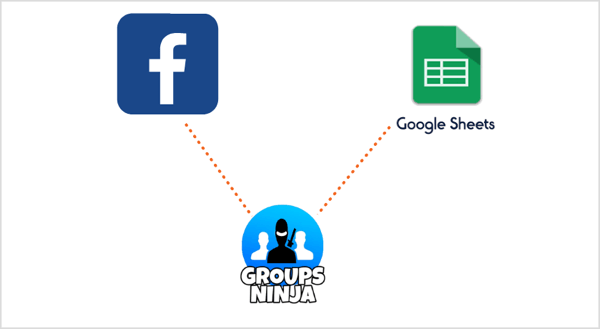 To create an automated system that adds the emails from the Facebook questionnaire to your email software, use the Groups Ninja Chrome extension to export emails from Facebook into Google Sheets. The extension costs $9.99 per month. Then, to move the email addresses from the Google Sheet to my email marketing software (ConvertKit), I use a Zapier integration. Zapier offers free and paid plans. If you’re unsure what Zapier is or how to use it, paid tools like Groups Ninja provide support videos for integrating with Zapier and email marketing software. To upload emails from your group to your email marketing software manually, copy the emails from the group and paste them into your email software or a master CSV file. With the CSV file, you can upload a list of emails all at once. If you work with a virtual assistant, this is a task you can outsource. Tip: After you set up the approval system in your Facebook group, you’ll need to start approving or declining requests to join your group. If you make providing an email address mandatory and a user doesn’t provide an email address right away, give them at least 3 days before you decline their request. Facebook sends reminders for 3 days, encouraging them to finish the application. For new members who do provide an email, you can use a feature that allows group admins and moderators to welcome all new group members. Each member is tagged in the post and you can customize the post however you’d like. Making your new members feel welcome will improve the chances of them engaging with the group later. This welcome is also a great way to remind new members to check their email for their freebie (if applicable) or get them to click a lead-generating link (if you didn’t require an email address to join). To illustrate, Chris Green shares a great welcome in his Merch by Amazon group. In the following example, Chris welcomes the new members and reminds them to download a free PDF. At the top of your group, you can display a banner that you can use as a lead-gathering billboard. For this tactic, you need to offer a lead magnet that makes sharing an email address worthwhile. Remember that simply offering something for free isn’t enough because people know sharing an email exposes them to future promotions. Offer something truly valuable that your audience will want. You also need to create a landing page for the lead magnet that allows you to collect email addresses. If you don’t have a landing page with a lead magnet, you can find several tools that help you create one. (I use ClickFunnels for all of mine.) To hire someone to create the landing page for you, check sites like Fiverr or Freelancer.com. After you know what you’ll offer and what the landing page will be, create a 1640 x 920 pixel cover image with a call to action. This image is like a big banner ad for your lead magnet. In the image, identify your group with your branding in addition to advertising your lead magnet. You can create this image with a tool like Canva (both free and paid options), and then download the image. When you’re ready to upload the image to your Facebook group, navigate to your group page, hover over the existing cover image, and click the Change Group Cover button in the upper right. Then click Upload Photo and select the photo you want to upload in the dialog box that appears. After you upload the image, drag it around until it’s positioned perfectly. Although you can’t link your group cover image to your landing page, you can add a link in the image description. After you upload your image, click Add a Description. Then write a short description (like the one shown here) to explain that visitors must click the link to access the landing page. The group description is another piece of group real estate that you can use to collect email addresses from people interested in your group. Although this description isn’t as visible as the cover image, there’s no harm in adding a lead-generating link to it. The cool thing about this tactic is that even people who aren’t in your group will see the link to the lead magnet because the link appears publicly. In other words, you create the opportunity to gather leads from people even if they don’t join the group. After your efforts start to build your email list, make sure you email your new subscribers right away while you’re still top of mind. If you wait too long, they might not recognize you or may report your email as spam (which hurts future deliverability rates). A welcome message also helps long-term engagement: subscribers who receive a welcome email show 33% more long-term brand engagement than those who don’t. 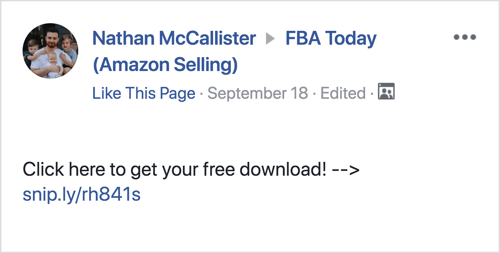 With a little up-front work, you can create an email sequence that not only sends new Facebook group members the freebies you promised them, but also automates follow-up emails that convert exceptionally well. Click here to learn how to drive meaningful interactions in your Facebook group. What do you think? Have you tried building your email list via your Facebook group? What tactics have worked well for you? Please share your thoughts in the comments. 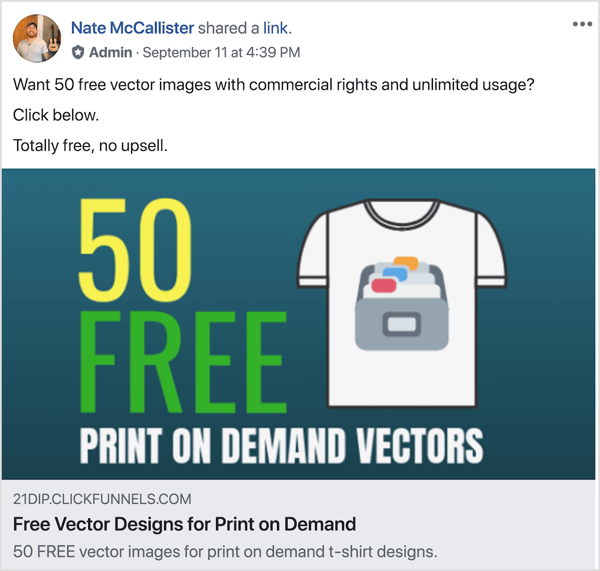 Nate is a blogger and digital marketer who loves to document and share the processes that are currently working for his various internet businesses.